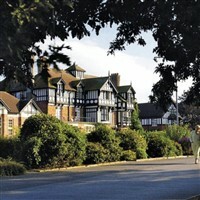 ALVASTON HALL, NANTWICH www.warnerbreaks.co.uk This Country Hotel is a Grade II listed Victorian building in the Cheshire Countryside. It has been extensively refurbished quite recently to ensure that the 300 or so guests it can accommodate will stay in modern comfort. Alvaston Hall offers facilities for those wishing to play golf for the first time, as well as an indoor pool, fitness studio (gym, sauna and tropicarium), bowls and archery. An innovation is its Cabaret Diner where you can have the same seat for all your meals and the entertainment. 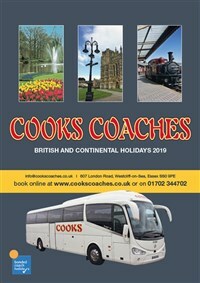 On this holiday the coach will stay to operate two excursions. One will be to Chester, the historic city where the City Walls are complete (have a walk round) and unique Rows (two-tiered shops) are a sort of medieval shopping mall. The other trip is into Wales, visiting the valley of the River Dee and the eisteddfod town of Llangollen, plus Lake Bala.